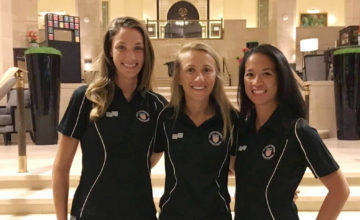 On January 1, FIFA announced that Cal-North female referee Deleana Quan was added to the list of International Assistant Referees. 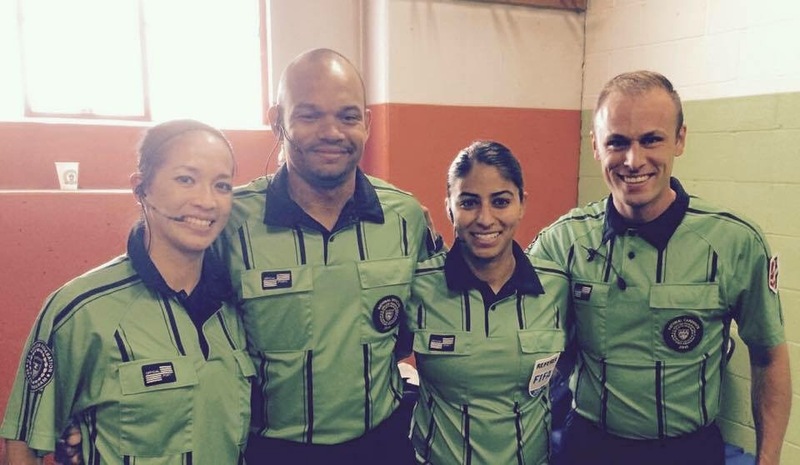 We asked Deleana about her journey and what advice she has for other referees in the community. CNRA: When and why did you start officiating? How was the road to top? Deleana Quan: Like many other referees, I began officiating when I was 14 years old, as a way to earn a little money while in high school. The road to the top has been long and challenging, but incredibly rewarding – traveling most weekends to tournaments and training sessions, constant physical training, week long events all over the country, and lots of games. 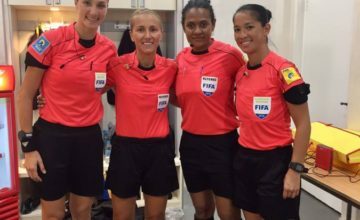 CNRA: How should we imagine the life as a FIFA assistant referee? DQ: I’ll let you know once I’ve done it for a while! CNRA: What do you do to keep the balance between your personal and professional life? DQ: Balance between your personal and professional life is very difficult to achieve when pursuing a goal like this. As I’m sure is the case with a lot of referees, my primary social circle is many of the wonderful people I’ve met on the soccer field. They are some of my closest friends, and we have supported each other along the way. CNRA: What was your most memorable game? Please tell us about it. DQ: My most memorable game would be my first professional game in the NWSL in May 2013. It was the first year of the league, and I was assigned to the game between the Seattle Reign and FC Kansas City; the game was in Seattle and it was the Reign’s first home game, so it was an incredible atmosphere to work my first pro game in. CNRA: What do you do to be mentally fit? DQ: I watch a lot of soccer on television, and I follow the domestic leagues very closely throughout the year. That allows me to be extremely aware when I’m on the field. At the professional level, this is the players’ and coaches’ livelihoods, so understanding their motivations and consequences is crucial to successfully managing a game. I also watch the tapes of my games and conduct self evaluations; assessing my own performance is an expected metric. Aside from watching a lot of games on tv, the ongoing instruction and classroom sessions provide not only opportunities to stay mentally fit but to increase my knowledge and understanding of the game. CNRA: How do you keep focus during the game? DQ: I constantly make mental notes of players’ positions on the field during the game – where the second to the last defender is, and where the attackers are in relation to that – I constantly take that mental snapshot so I can make the decision when the ball is played forward. I also find regular verbal and non-verbal communication with the entire referee crew very important for focus during a match. CNRA: What is the key to conflict management? DQ: I find the key to conflict management is knowing what is needed for any given situation. That requires an ability to quickly assess different players’ personalities early in the match so you know what they will need when conflict does arise. Every situation is different, every player is different, so there is never one generic solution to managing conflict. Instead, you have to be able to determine what each player needs and how to best communicate with them to resolve their issues. CNRA: How do you handle failures? DQ: I study my failures to learn from them. We’re human, we are going to fail – it’s inevitable. So I view failures as opportunities to learn, not only by avoiding the same mistakes in the future, but also determining why I did what I did, so I can improve my game. CNRA: What is the biggest challenge for you at the moment? DQ: Adjusting to a new level of officiating. Every time a referee moves to a new level, be it moving from recreational soccer to comp soccer, moving into the college game, lower division professional leagues, or the top professional division, there is a major adjustment that has to be made. New protocols, new expectations from players, coaches and league administrators, new colleagues. Learning how things work at the international level will be my biggest challenge in the short term. CNRA: What is your goal right now? DQ: My current goal is to perform consistently in my first international matches and adjust to this new level of officiating. CNRA: What do you consider the most important characteristic of a referee? DQ: The ability to remain calm at all times. Each and every game brings a different set of circumstances and new experiences, and you have to be able to react quickly and calmly to any situation that presents itself. We can sometimes get ourselves in difficult or challenging situations on the field, and there is often a lot of external pressure placed on referees. 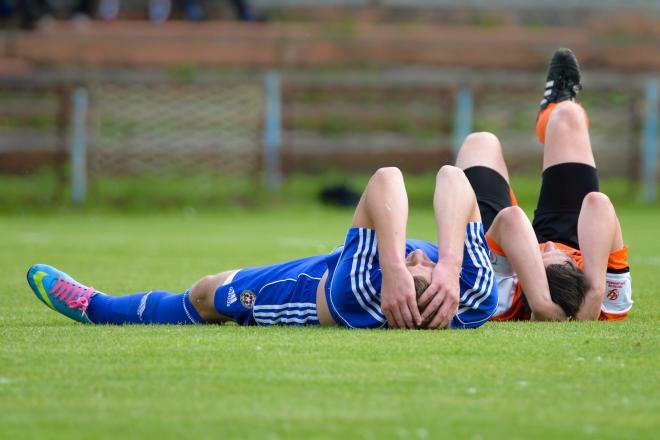 Being able to deal with the pressure is incredibly important, and an absolute must for referees at the top levels.